Overcomers in Christ is pleased to bring you a presentation called, “Breaking the Addiction Cycle”. 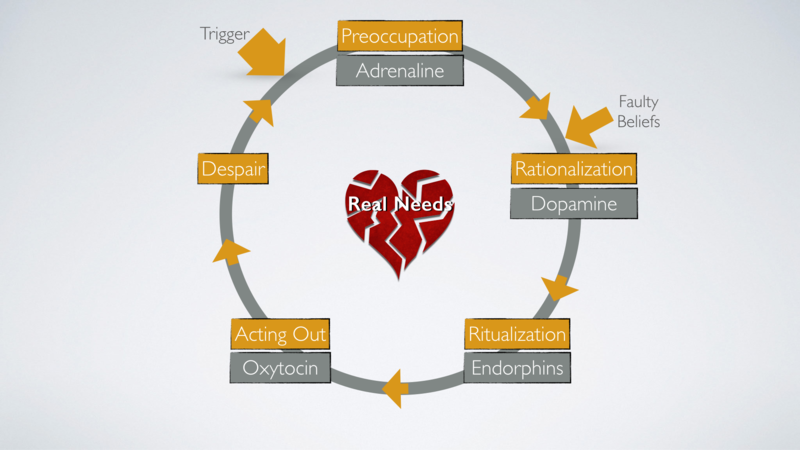 This presentation explains how people can get trapped in a cycle of addiction or destructive habits, and how to break that cycle and begin a cycle of recovery. This teaching can be a great help for anyone struggling with an addiction or destructive habit, or their family and friends to help them understand how to help them more effectively. Please enjoy the presentation below, and feel free to share it with people who might benefit.